When you buy a game and open the box, it's exciting to flick through all the cards, or with a board game, to admire the board and playing pieces, appreciate the details in the artwork and just soak up the whole ambience that any board, card or party game has. For many players though they get to the rules and find that their enthusiasm takes a dip. They want to play the game right out of the box and find it frustrating having to wade through rules which are surprisingly often badly written and unclear. If you're multilingual and are playing a game in another language, it's even more likely that the rules will have been badly translated and while they may be hysterical, normally not in the way that the game designer intended. When you first start designing a game having written rules isn't important, early prototypes are often bits of paper and hand-drawn designs on cardboard and if you're play-testing it, most likely it's with yourself pretending to be multiple players or with one or two close friends or family members. If you've created a game that you are starting to feel has potential then you will want to move onto a more professional looking game that you've spent a bit of time working on the look and feel of and I recommend that at this point you write the rules down. When you're play-testing it, particularly if all your play-testers are new, instead of telling them the rules, start by giving them a printed version of them and ask them to pretend that you're not there while they figure out how to play the game. This means that you start to get feedback early on about how to refine the rules, so you can ensure that they're clear. Personally I normally only give out one or two copies of the rules, as in a natural setting some people will be 'rule readers' while others will always prefer to have someone else explain how to play the game to them. Make a note of anything that players say and consider suggestions seriously. Even if you think a suggestion is terrible during a play-test, thank the play-tester for it and make a note of it, as this encourages everyone else to make suggestions too and you never know, when looking through your notes afterwards, you may find some gem of wisdom, even if it's not exactly the one the player had in mind. If you're hosting a murder mystery game then this requires a completely different set of rules and a specific process to ensure that participants have the maximum fun. Brief introduction - what the object of the game is and perhaps a funny intro to the game for party games. Set-up - how to lay-out the cards and/or board before you start playing. Turn by Turn Instructions - include instructions on what actions to take each turn, with examples of play. Clarifications - most games have situations where 2 instructions might seem to contradict each other, or other complex scenarios. Try to anticipate any such situations that are likely to occur and give instructions on how to resolve them to prevent disputes. Winning the game - you've already mentioned it at the start, but conclude by how to win the game, with more details if need be. Credits - the game designers, publishers, a link to your website, etc. For very complex games, like board games with a large role-playing element, it can be best to allow players to present a simplified version of rules that players can start with so that the task of learning them isn't too daunting! Images and diagrams in rules help make them far easier to understand and means your rules will appeal to both left-brain and right-brain thinkers. 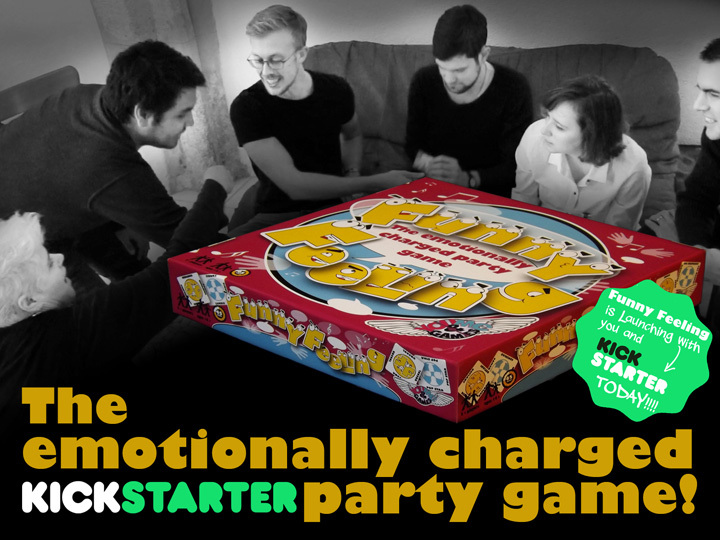 For Funny Feeling, we created the entire rules as an infographic and received far better feedback on this than all the earlier versions that we play-tested. If you'd like us to work with you to create an infographic of the rules for your game, which can including play-testing it, proof-reading the instructions and creating the graphic design for them, then we'd be thrilled to. 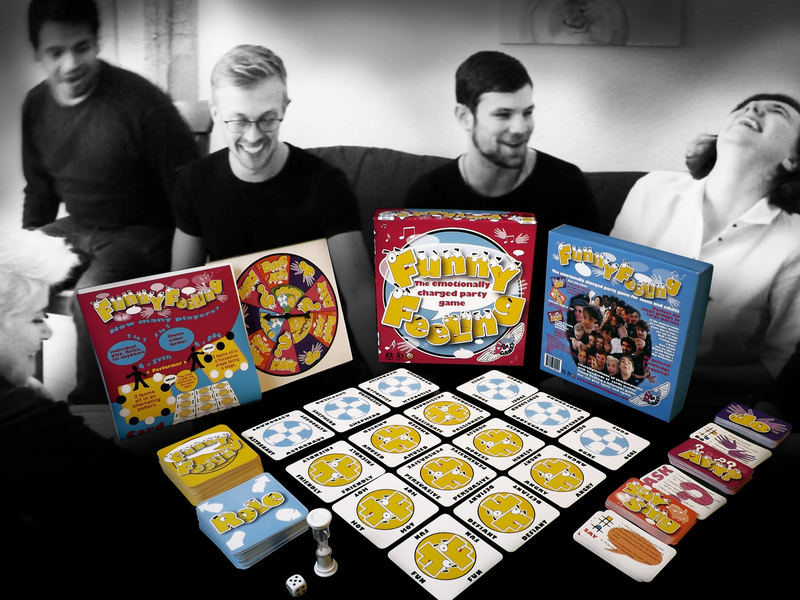 Read more about our board game design services.